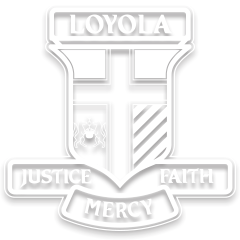 Loyola College is a community of students, parents and staff that strives to provide a holistic education that meets the needs and develops the gifts of each student. Loyola College strives to offer the best possible education for each student. The College community encourages all students to adopt a holistic approach to all dimensions of their education, including involvement in the classroom curriculum, the co-curriculum program and community activities. Loyola College endeavours to support students through the implementation of a Scholarship Program. The Scholarship Program recognises and acknowledges students who take responsibility for, and are proactive, in the development of their own education. Scholarships are awarded to the value of $1000 as a deduction from school fees in the following years. Any students interested in applying must complete this application form. The Loyola Friends and Parents Association (LPFA), generously support young achievers in their pursuit of Elite sport each year at the College. Students are given the opportunity to apply for a grant of up to $500.00 to put towards their travel expenses and costs for major competition in which they are competing. Students can apply for this grant at any time of the year. There are four sporting grants available. Any year 7 to 11 students interested in applying must complete this application form.